Students who experience low self-esteem can take advantage of social media and its capability to bond them with others in order to pull themselves up from slumps in their mood. 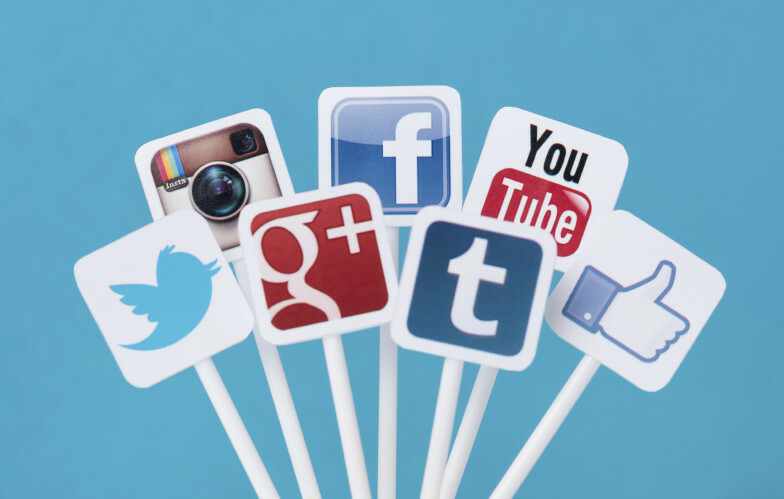 Social media can help with socialization. Studies indicate that introverted adolescents can actually gain social skills by using social media. Social media has a role, a growing role at that, in our lives and futures. It behooves each of us to understand the effect of social media on our thoughts, emotions and behaviors and to become more aware of both the negative and positive effects it is having on us. Remember that what we see in a picture or post is the ‘idealized’ version of the other’s reality. Appreciate that the photo like was edited and that the scenario likely was staged. Be careful to not ‘over-share’ or disregard your own privacy filters. If you would not be comfortable telling someone something face-to-face, then it likely is not appropriate to say over social media either. Lastly, if you are concerned or do not know where to start, try taking a day or week hiatus from social media and see how you do. See what else you can fill your time with and monitor your mood. Are you happier? Feel more connected? The only way you will ever really know the effect of social media on you is if you try to go with out it. The key to using social media is being aware of the affects it is having on your thoughts, feelings and behaviors. Once you start to notice trends in how it affects you, both negatively and positively, you can more consciously choose how to navigate your relationship with social media. If you want to learn more about social media and its affect on us, you can watch my segment on the Charlotte Today Show in March available here. 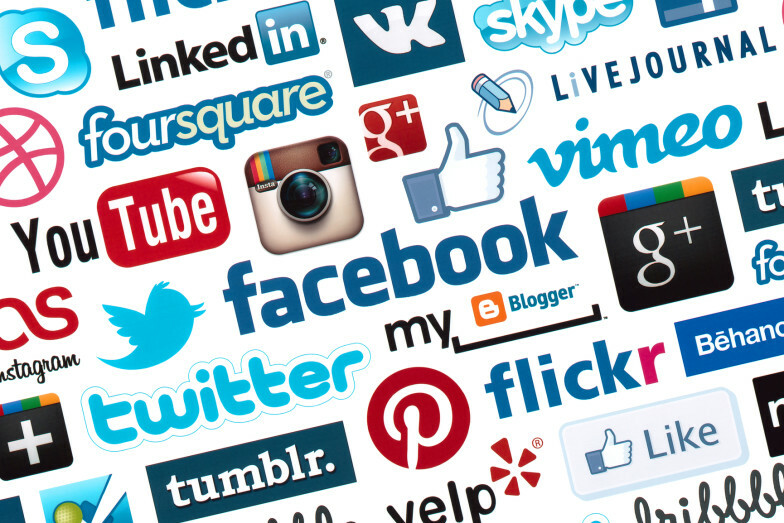 What Is So Bad About Social Media? Social networking sites like Facebook, Twitter and Instagram allow us to find and connect with just about anyone – from our neighbors, coworkers, cousins, or elementary school friends. Browsing these sites can make us feel connected to a larger community, but the easy, casual connection and chat in this digital space can also have its downsides. Research indicates that social media sites can make it more difficult for us to distinguish meaningful relationships from the more casual relationships formed via social media. Often times, people falsely believe that connection is defined by the number of ‘friends’ they have on Facebook or the number of ‘followers’ they have on Instagram. In a recent study, college students who use social media sites more frequently or on a daily basis agreed that the number of ‘likes’ is an important number. Some students said that the number of likes or retweets that they have is a meaningful measure of acceptance within their group of peers. It should come as no surprise that social networking sites encourage people to be more public about their personal lives than they are in person. Whether by sharing intimate details or intimate photos, people tend to bypass the privacy filters that they use when talking to others in person. And, to top it off, whatever someone posts is available indefinitely, so the lack of privacy filter is stamped in time. What seemed like a funny post of you taking a shot at a party in college, may not be so funny when your employer is doing a background check on you and you are not offered the job because of it. Let’s face it, people are distracted by social media. Whether you are scrolling through Facebook instead of writing a paper in college or checking your Twitter account in between meetings at work, social media takes up time that you could have otherwise used for school or work – or connecting in-person. Interestingly, one study reported that Facebook shaves 1.5% off office productivity while another study claimed that companies lost $2.2 billion a year due to the use of social media. In a recent study, college students noted that social media sites can get in the way of schoolwork, especially for procrastinators. Many students reported that they find themselves logging onto a social media site when they should be studying and then losing track of time only to realize they have been on a social media site for hours. Have you ever heard the expression FOMO? Fear of missing out (FOMO) is a phenomenon that occurs when you feel pressure to do what everyone else is doing, attend every event, or share every life experience. It can evoke anxiety and cause social media users to question why everyone is “having fun without them.” Recent surveys have found that people feel insecure after using Pinterest because they feel that they aren’t crafty or creative enough. Similarly, Facebook and Twitter can make people feel like they aren’t successful or smart enough. Posts on social media many times present an idealized version of what’s happening, what something looks like, or how things are going. This can lead people to constantly compare themselves to others and think less of their own lives. If things are going particularly well for people in one’s newsfeed and you’re having a rough day, of course this will likely negatively affect your mood. In 2012, a team of researchers in the UK surveyed users, 53% of whom said social media had changed their behavior; 51% said it was negative behavior because of decline in confidence they felt due to unfair comparisons to others. Social media is addictive. Studies show that 63% of Americans log on to Facebook daily, and 40% log on multiple times each day. People use the site for a wide range of reasons. Yet, social media usually serves, on some level, the same basic purposes: distraction and boredom relief. “Likes” and comments are positive reinforcement for posting information, making it difficult for a person to stop. Researchers have found this so common that they created a scale to measure this addiction; it is called the Berge Facebook Addiction Scale. Cyber-bullying is now the most common type of bullying. 1 in 4 kids report that it has happened to them, and 43% of kids report that they have witnessed cyber-bullying. Unfortunately, the anonymity afforded by social media often encourages people to take greater bullying risks and say more negative things than they would in person. These online attacks are not a light matter; many kids and adults have been driven to suicide because of their experiences. In the end, social media has its costs and often negatively impacts our lives. However, it is not all negative! Stay tuned for my next blog article on the positive aspects of social media as well as some tips on how to address these downsides. Do you feel like you are always snacking? Do you tend to eat more at night than during the day? In this post, I discuss each obstacle, reasons why it might be happening, and possible solutions to help you to overcome it. Mindless eating or munching is when you eat without thinking about what you are doing. It happens when you put food in your mouth, but are not present to the action. Maybe you are eating because you are bored? Eating while multi-tasking? Sometimes it happens when you are eating out of routine or habit instead of hunger. First and foremost, become present. Notice your bodily sensations and emotions. Notice whether you are feeling hunger or feeling something else. Bring the attention of all five of your senses to the act of eating. Notice how each bite tastes, smells and feels in your mouth. Eating in this way will help you to stop the endless munching pattern. We all love “finishing things” – especially snack foods. Instead of eating until you finish the bag of popcorn or chips, put one portion aside and finish just that portion. It is the end of your work day, and you are tired. And when you are tired, you are more vulnerable – sometimes, more vulnerable to food. Your mind seeks out foods that are easily digestible such as simple carbohydrates, even though they are not the most nutritious or filing. Also, if you have restricted your caloric intake or been too busy to eat throughout the day, you are likely malnourished and over-hungry by the time you get home at night. Afternoon eating can also relate to loneliness at night. Are you eating to fill a void left by a lack of personal contact? Coming home to an empty house night after night can be lonely, and often, people turn to food to keep them company, to “fill them up” and to entertain them in the evenings. Lastly, there is a medical condition named Night Eating Syndrome, which is often associated with depression, anxiety and other mood disorders. This medical condition leads people to eat throughout the night and even eat while sleeping. Make sure to nourish yourself by eating wholesome meals and snacks throughout the day. If you restrict yourself during the day, it is extremely likely that you will over-eat at night. If you are hungry at night, eat! Just be more mindful of where or how you are eating at night. Do not eat in front of the TV or the computer where you are not paying attention to what you are putting into your body. Listening to your body’s hunger cues is the foundation of mindful eating. And, you cannot truly hear or understand your body’s cues if you are not tuned into to them because you are distracted by something else. Additionally, if you are feeling anxious, lonely, or depressed, work to identify the feeling and become aware of its impact on you. Eating at night to distract yourself from an emotion will not take the emotion away. And lastly, seek medical help for Night Eating Syndrome if you think you could have it. Please start by contacting your primary care physician for more information. Are you eating full meals? Are you hungry and not listening to your body? Both of these can lead to non-stop snacking. Non-stop snacking can also relate to mindless eating. Have you snacked all day, but not paid any attention to the food you have been putting into your mouth? Or, are you trying to distract yourself from other emotions or sensations by eating? First, try not to eat ‘on the go’. If you are going to eat a meal or snack, do it; and do it well. Whether you are standing or sitting, do not type on the computer or gaze at your phone. Focus on the physical sensations as the food enters your mouth; focus on all the tastes and smells that it involves. If you do this, you will end up eating less and enjoying the meal more. Research indicates that seeing nearby food triggers a neurological impulse to dig in regardless of how hungry you are. Thus, if you see it, you eat it because it is a reflex; and a reflex is even more ingrained than a habit. Slow down. The brain needs something external to focus on, so when you see food, it focuses on that. Become aware of what your brain is telling you regarding your hunger cues versus the need to attend to an external stimulus. You can try to switch your attention and focus on something else that will engage you. If you are truly hungry, you will know it regardless of whether you see the food or not. Here’s an out-of-the-box idea: try eating with chopsticks instead of a fork and knife. Chopsticks force you to slow down the process of eating and give you time to notice how full you are feeling. Emotional eating is when you eat to change the way that you feel. It is eating regardless of whether or not you are physically hungry. Eating when you are stressed often happens because it distracts you from you thoughts and physical experience of anxiety or feelings of unsettledness. When you are stressed, your body releases hormones that lead you to seek calming influences. Food can often be a source of calm, so you seek it out when you are anxious or overwhelmed even if you are not hungry. Instead of using food as your calming influence, try doing something relaxing like yoga or deep breathing to address the feeling you are having. In the end, know that food will not solve stress and the emotion will be there regardless of what you eat or when you eat if you do not address it outright. So, take care of yourself in other ways, maybe by taking a walk outside, calling a friend, listening to music, taking a bubble bath. . If you are still hungry afterwards then eat something nutritious and healthy. Overeating is common and something that we all struggle with in one-way or another. Your work is learning to listen to your body especially your hunger and fullness cues. It’s difficult, and it takes practice, time, and attention. But, learning to eat mindfully and feed our bodies what they want and need is a lifelong goal that we can each take steps towards starting today. Alice Domar, PhD of the Domar Center in Boston, Massachusetts, has built a career studying and treating people struggling with infertility. In her book, Conquering Infertility, she discusses a relationship that defines some people’s struggle – the relationship between infertility and depression. Domar explains that the question of whether or not depression is related to infertility is ‘age old’. Throughout history, the infertility community has gone back and forth between whether infertility is due to psychological factors or whether infertility is due to physiological factors or some combination of the two. Between the 1940’s and the1960’s, the psychiatric community believed that psychological factors were the sole cause of infertility; many thought that women had trouble getting pregnant because they were more ‘conflicted’ about motherhood than women who did not have trouble getting pregnant. Any woman who has struggled with infertility will tell you that she is not conflicted at all about her deep-rooted desires for a child. More often than not, she has never been more certain about anything in her life. This belief that infertility was psychological shifted when new medical technology was able to identify physiological causes of infertility including but not limited to tubal blockages, signs of early menopause, ovulation difficulties and issues related to sperm count and mobility. At about this time, it was believed that infertility was 100% a physical problem. Then, in the 1980’s and early 1990’s, research considered the role of anxiety in infertility, and in 1990’s and early 2000’s, research looked at the role of depression in infertility. Both of these lines of work provided evidence that infertility is not solely a physiological disease. That being said, the research showed that depression, not anxiety, was the main psychological experience that led to infertility. Women with a history of depression symptoms are nearly twice as likely to report subsequent infertility than are women who do not have a history of depression, and up to 17% of women struggling with infertility meet a Major Depressive Disorder diagnosis. These statics are staggering. They show that the relationship between depression and infertility is bidirectional, such that depression can lead to infertility, and infertility can lead to depression. The same is true for men. It has been found that depressed men have lower sperm counts than non-depressed men. Other studies show that men with previously normal sperm counts are 8 times more likely to have low sperm counts after a year or two of infertility. Domar and her colleagues have dedicated their research and careers to showing that when depression and anxiety are addressed, not only do people’s quality of lives improve, but so too can their rates of pregnancy. This finding is so important for all of the women and men out there struggling with infertility because of what it means for their treatment plans. Depression is not something that can just be ‘turned on or off,’ so seeking professional help is a critical component of fertility treatments. For those men and women out there struggling with infertility, I recommend reaching out to a professional for help. If you are feeling frustrated, sad, lonely, hopeless, worthless, guilty or irritable, counseling whether individual, couples or group can help. It never hurts to meet with a professional who is experienced and has worked with others dealing with infertility. If you don’t know who to contact, ask your doctor for recommendations or look on the RESOLVE website. RESOLVE is the national infertility association, and infertility specialists are often listed both by type and location. So often we eat mindlessly. We put food into our mouths while working on the computer, watching TV, or when we are on the go. So often, we do not pay attention to what we put into our bodies or what our bodies are telling us in terms of our hunger and fullness cues. Mindless eating is at its height during the holiday season when food seems to be everywhere: sugary sweets at work, meals out with family members, treats sent home as presents, etc. To top it all off, emotions are high during the holidays. Stress and tension rise because our schedules are full. Visitors from out of town can be overwhelming even if they are welcome visitors. First, learn to pay attention to your hunger cues. Do you tend to become hungry first thing in the morning? Are you more full if you eat eggs versus cereal for breakfast? If you eat candy mid-afternoon, do you tend to struggle to finish the day? Noticing how your body reacts to different foods and what your body needs in terms of energy will help you to feed it in a nutritious way. The more that you are able to pay attention to what your body needs and wants on a day-to-day basis, the more likely you are to stop eating when you are full and start eating when you are physically hungry. Second, notice when you tend to mindlessly eat. Do you reach for food and not think about what you are putting in your mouth until the bag is empty mid-morning? Late afternoon? If you can nail down a pattern to your mindless eating habits, you will be able to take proactive steps to avoid mindless eating. Third, do you emotionally eat? Emotional eating is when you eat not due to physical hunger but rather in response to emotions that you are experiencing. It is extremely likely during the holidays because emotions – both positive and negative- are heightened. Although not always, emotional eating tends to occur in the afternoon and evening and is less likely when other people are around. What can you do to avoid emotional eating? How do you eat mindfully? Once you have identified when you tend to mindlessly eat, you need to starting learning how to eat mindfully. In reality, the pleasure of eating lies in slowing down and fully experiencing all of the elements of food. Take some time to explore each of the following during your next meal and notice the difference. For example, if you are eating ice cream, take time to notice how cold the spoon is, how the ice cream melts in your mouth, and what the texture of the ice cream is. Take time to use all of your senses and really savor each element of the meal. Holiday seasons are a wonderful time for many of us. It is a time to celebrate. Paying attention to your body and what you put into it means taking care of yourself, showing yourself love, just as you do others at this time of year. This holiday season, take care of yourself and focus on mindful eating. Becoming aware of and listening to your body’s hunger and fullness cues is one of the best presents that you can give yourself. 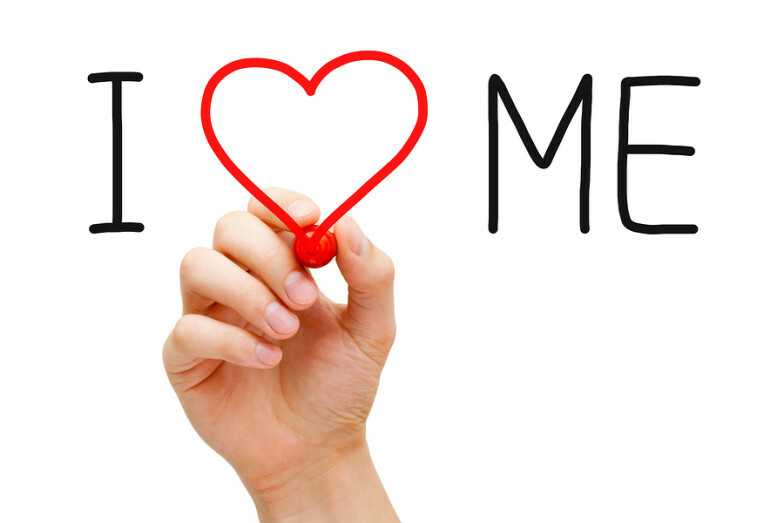 Pop quiz: Do you treat yourself the same way that you treat others? In other words: Are you kind to yourself? I know that for me, the answer is often no. I tend to be much more critical of my body, my choices, my feelings, my actions and myself in general than I am of others’. We say things to ourselves in our heads that we would never say out loud to another person. If it’s any consolation or comfort to you, I believe that for so many of us, stress, shame, self-judgment, and a lack of self compassion are common experiences. Kristen Kneff, PhD at the University of Texas at Austin has been studying self-compassion for over a decade. (Learn more about her here.) Kneff’s work demonstrates both how rare self-compassion is and also how powerful the effects of self-compassion are on our mental and physical well-being. Self-compassion is this: noticing your suffering, pain or negative self-talk; and then comforting yourself. If you are having a difficult time, self-compassion means asking what you need in that moment rather than ignoring the difficulty or judging yourself for its existence. Think about a time when a close friend felt really badly about him or herself or was really struggling in some way. How did you respond to your friend in this situation? Write down what you did, what you said, and note the tone in which you talked to him/her. Now think about a time when you felt badly about yourself or were struggling. How did you respond to yourself in this situation? Write down what you did, what you said, and note the tone in which you talked to yourself. Is there a difference between the two scenarios? If so, ask yourself why. What might have changed if you had responded to yourself as you responded to your friend? What might change in your life if you treated yourself like a friend on a more regular basis? Boundaries are essential to healthy relationships and a healthy life. So much so, that setting and sustaining boundaries needs to be thought of as a skill. And, just like any other skill, it is one that we need to learn and practice. For many of us, boundary building and setting is a new, challenging concept. Creating healthy boundaries means understanding what your personal limits are. You can’t set good boundaries if you are unsure of where you stand. Identify your physical, emotional, mental and spiritual limits. How to do that: Consider what you can tolerate and accept and what makes you feel uncomfortable or stressed. Your feelings of discomfort, stress and resentment are the signs for you that you are at or have gone beyond a limit. Think of these feelings on a continuum from 1 to 10. If you’re feelings of discomfort, stress or resentment in the relationship is in the range of 6 to 10, then ask yourself what is causing this and what about this interaction is bothering me? Remember, boundaries are not static. Your limits will change, so it is important to practice being aware of your feelings and understand that you may have to re-set and re-view the boundaries you have created. Being clear about your needs and setting boundaries does not have to be disrespectful or rude. Putting someone else’s needs or desires above your own does not make for a healthy and equitable relationship. So if for no other reason, be direct for the sake of the relationship’s health. If you are not, you will likely react and push the other person away. Ask others in your relationships for help. If you want to leave work at a specific time each day so that you have a better balance between work and family, ask your colleagues to help you to reach this goal. Brainstorm together with friends, partners, family members etc. ways that you can support others and they can support you in creating the healthy boundary you envision. Lastly, saying ‘no’ is difficult and brings up feelings of guilt and fears of judgment for everyone. Seek support from others in listening to your ‘no’ and taking you seriously when you set a new boundary or revise an old one. Boundaries are all about understanding your feelings and honoring them. If you notice yourself slipping and not sustaining your boundaries, ask yourself: What has changed? Consider these questions: What am I doing or what is the other person doing? What in this situation is causing me to be resentful or stressed? Then, consider your options and ask yourself: What am I going to do about the situation? What do I have control over? Something to keep in mind: How you were raised along with what your present role in your family was can create additional obstacles in setting and honoring boundaries. If you held the role of caretaker, you learned to focus on others which might have drained you emotionally or physically. Ignoring your own needs might have become the norm for you growing up. Being self-aware about your past can help you to better navigate setting healthy boundaries in the present. Give yourself permission to put yourself first. Self-care involves recognizing the importance of your feelings and honoring them. These feelings serve as important cues about our wellbeing and about what makes us happy and unhappy. Putting yourself first also gives you the energy, peace of mind, and positive outlook to be more present with others. When you are in a better place, you can be a better wife, mother, husband, co-worker or friend. Start making self-care a priority now by setting aside time each day to do something you enjoy. Whether it is drinking a cup of coffee and reading the newspaper, exercising or calling a friend, make sure to prioritize your happiness along with others’ in your life. Like any new skill, assertively communicating your boundaries takes practice. Start with a small boundary that is not threatening to you and then incrementally increase to more challenging boundaries. Build upon your success, and try not to take on something that feels overwhelming. We each need to be intentional about how we set up boundaries. If we are not clear on our needs and limits whether at work, in our homes or in our friendships, then there is no way for others to support us. Healthy boundaries are an essential building block for healthy relationships and a healthy lifestyle. Take time to reflect on your boundaries and consider how well you respect your own limits when interacting with others. Want to learn more? I talked about this topic on Charlotte Today. Watch the full clip of that show’s segment here.